Caroline Hirons got me onto this hype. Yes. The actual Caroline Hirons, in real life, when I met her. Ah! 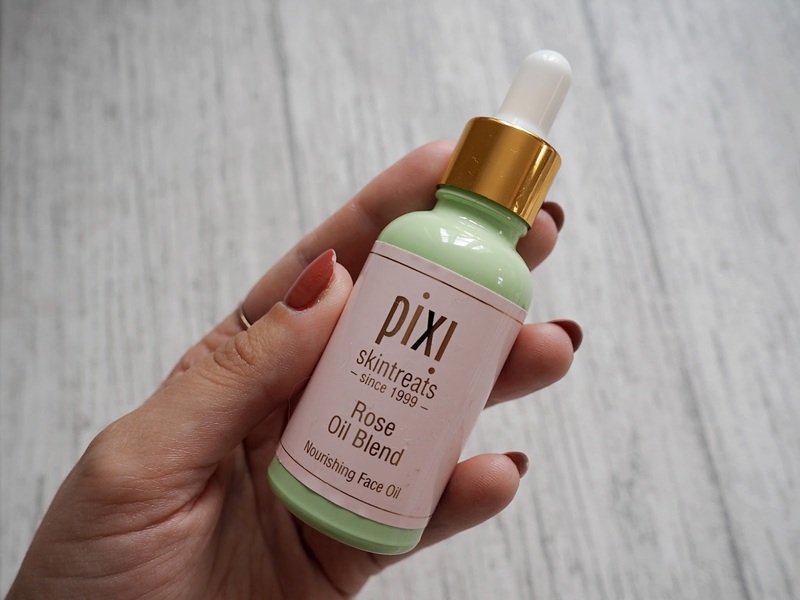 I happened to be in Westfield on a Saturday during their beauty month, when Caroline was holding a meet up in collaboration with Pixi Beauty. I saw it on twitter that morning, before heading off to do the dreaded summer holiday shop. 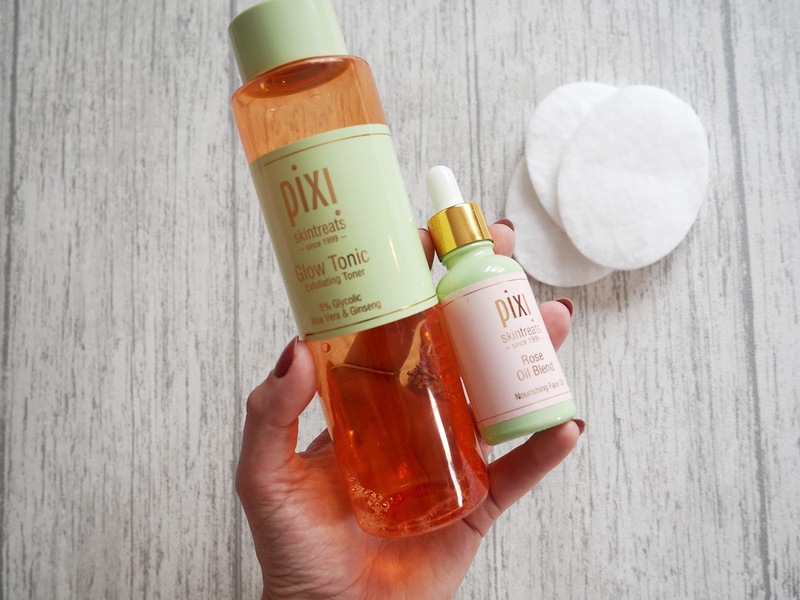 We watched Caroline have a makeover with all Pixi products, including the glow tonic & rose oil- now my staple morning and night products without a question. Afterwards we got to ask Caroline anything we wanted, so a little like a personal consultation, only quicker. She noticed that I had dehydrated skin & was also probably reacting to the sulphates in my shampoo as behind my ears was red blotchy & hot. I have since changed my shampoo and what a difference it has made to not only the skin behind my ears but also to the rest of my body. 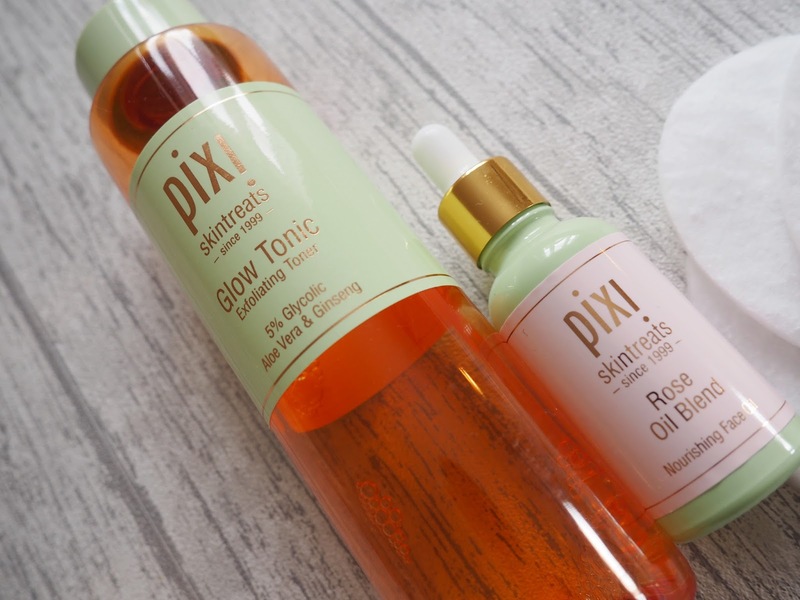 Her recommendations for me were Pixi Glow Tonic & Pixi Rose oil blend, morning and night. She also advised a lighter moisturiser so my skin could breathe a little easier. I've suffered with red and uneven skin tone for as long as I can remember, especially on my cheeks. 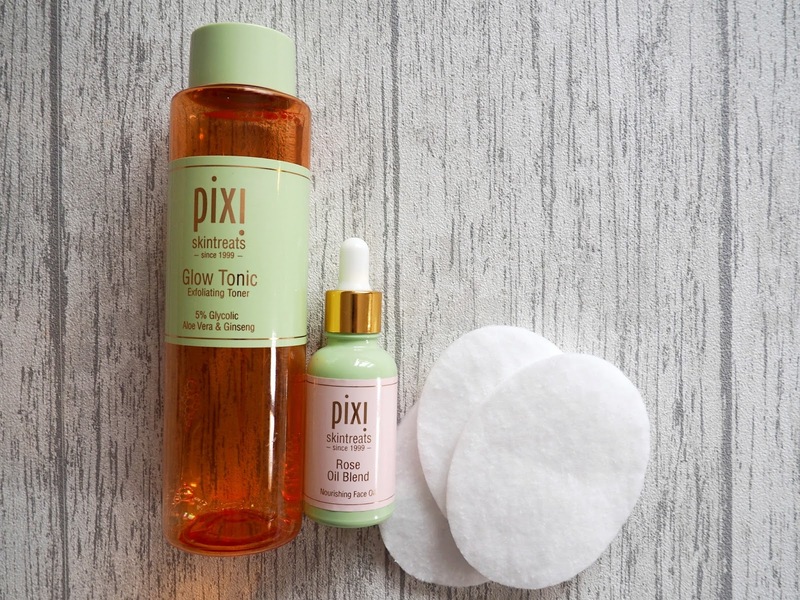 Since using these in combination the pigmentation has significantly reduced and I now only get the very rare spot (Woo hooo!). 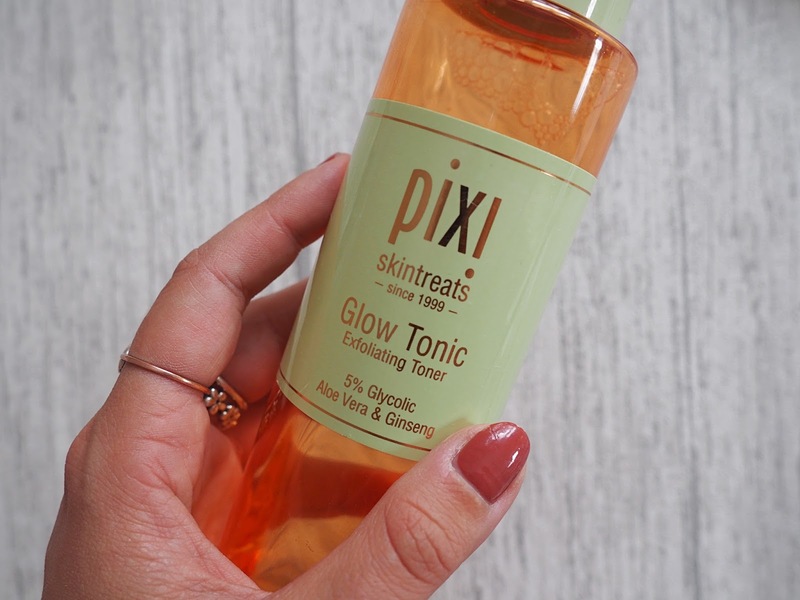 Glow Tonic works with Glycolic acid to gently remove the dead skin cells and therefore leave a brighter, fresher and exfoliated skin behind. I will be repurchasing both of these in the next few weeks as sadly they are nearly used up. But what better recommendation than empties.